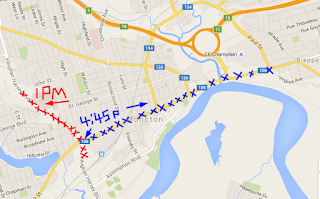 -Who: You & 100,000 of your closest friends downtown on a Saturday night! 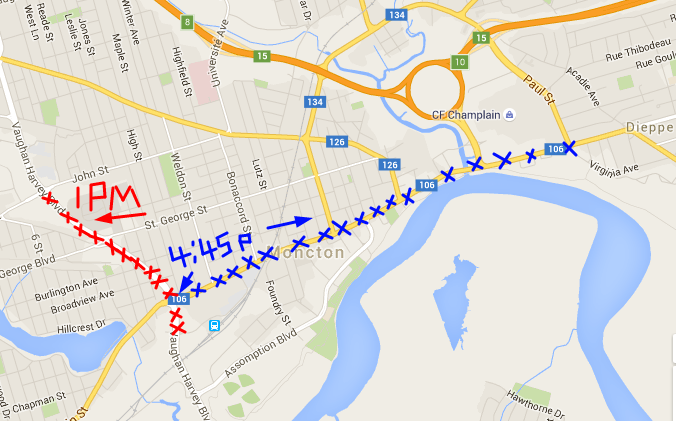 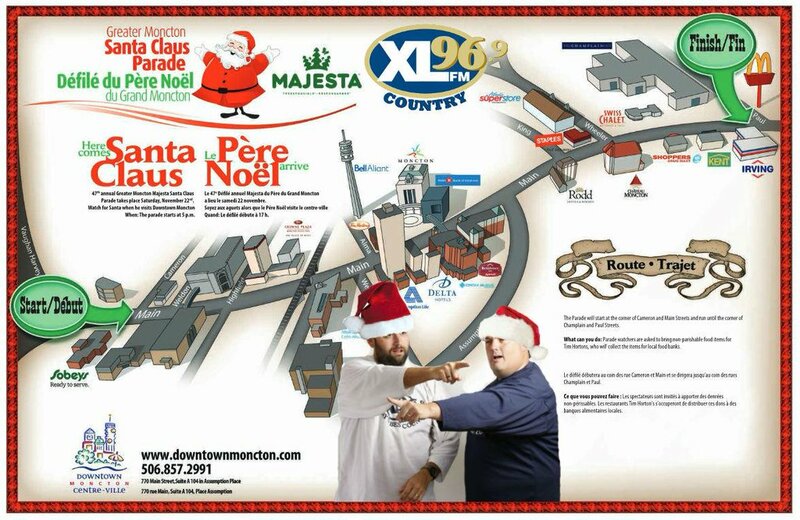 There will be some Free Parking for the parade at City Lots downtown- places like behind City Hall, the parking garage on Church St, behind Capitol Theatre, and behind Assomption Place. 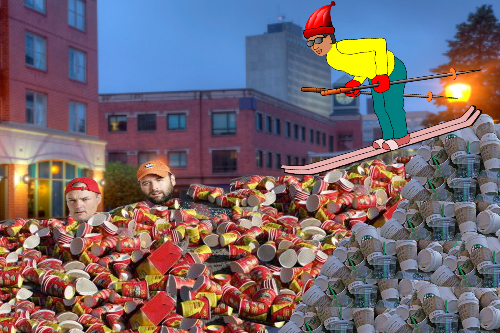 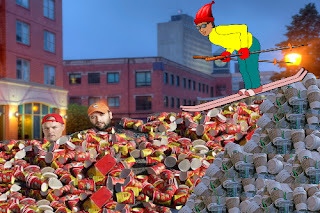 Hey, maybe if we all throw our discarded coffee cups in one giant pile after the parade, we could make a ski hill downtown called Coffee Cup Mountain! *Thanks to some friends who helped us out with our float... "For all your float needs, Lloyds of Moncton, Quality Concrete, the Trailer Store and Toys For Big Boys."